If you are on the fence about whether to take a trip to the British Virgin Islands next season, then let us tempt you by letting you in on a few of the islands’ secrets. The best time to visit is from January until April! You might have heard of Cow Wreck Beach on Anegada, but do you know how it got its name? In the late 19th century, before plastic, cow bones were used to make buttons, or they were ground up to use as fertiliser. A ship carrying these bones wrecked off the coast of Anegada and the bones continued to wash ashore on this island for years. This beach is a beautiful place to visit on an island that is only ten miles long, 2 and a half miles wide and only 28 feet above sea level at it’s highest point! Believe it or not, there is a British telephone box on a dock on the small island of Marina Cay, standing proudly in contrast with the ocean. It’s not just a novelty, the phone box actually works! It even has a live webcam that takes a photo every 15 seconds. There is also a telephone box in Virgin Gorda at Leverick bay which has been decked out as a working shower instead! Salt Island, which has not had more than three permanent residents since 1980, is a must see of the British Virgin Islands. It is thought to be one of the best places to dive in the whole Caribbean and some of the underwater scenes in the film The Deep were even filmed here. The reason it is so fascinating is that it is the site of the wreck of the RMS Rhone, which sank during a hurricane on October 29th, 1867. This island is full of interesting facts and is a must see for all visitors. The Governor of the Virgin Islands traditionally sent the Queen one pound of salt every year on her birthday as a form of rent payment! The tradition had died out, but the current governor has revived it in recent years. The shorelines of all the Virgin Islands are popular with divers for their abundance coral reefs and fascinating sea creatures. The Giant Basket Star, officially known as the astrophyton muricatum, is particularly fascinating as it curls up in the daytime to protect itself, but at night it comes alive. At night it extends its arms up to 1.5 ft to feed on plankton, coiling its arms around its prey and trapping them with tiny hooks. The coral reefs surrounding these islands are like no other. 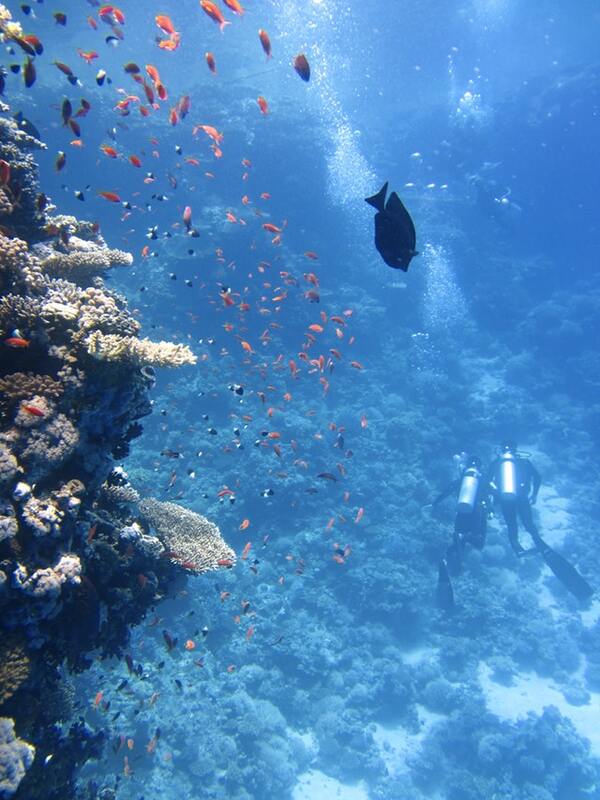 One dive site, on the south-west of Ginger island, is referred to as the Alice in Wonderland coral reef. The coral here has formed to look like giant mushrooms, something that could have only have come from the world beyond the rabbit hole. With seas full of fascinating coral and marine life, and with sailing being a huge part of the culture here, what better way to visit than on your own sailing holiday. Holiday to the British Virgin Islands on a yacht and explore everything the oceans have to offer.